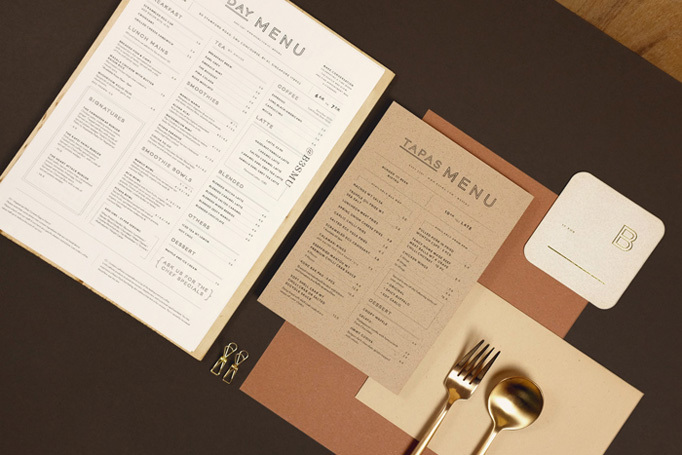 These typographically-dense menus are very nicely typeset and packed-in tight in a good way. 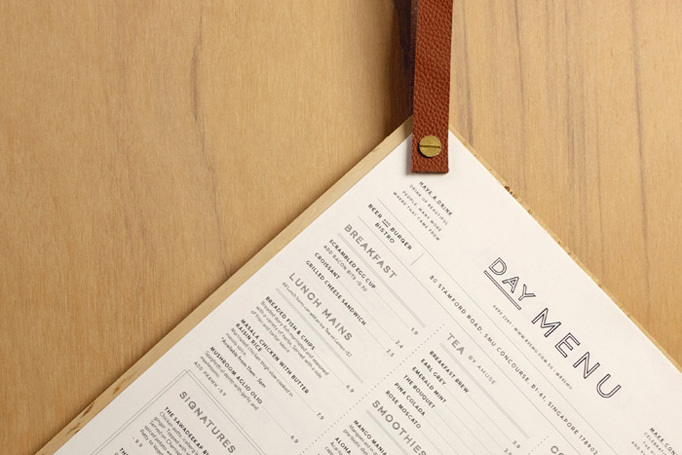 The presentation is quite nice too, with a bolted leather strap holding a simple piece of paper to a simple board, elevating the presence of both. 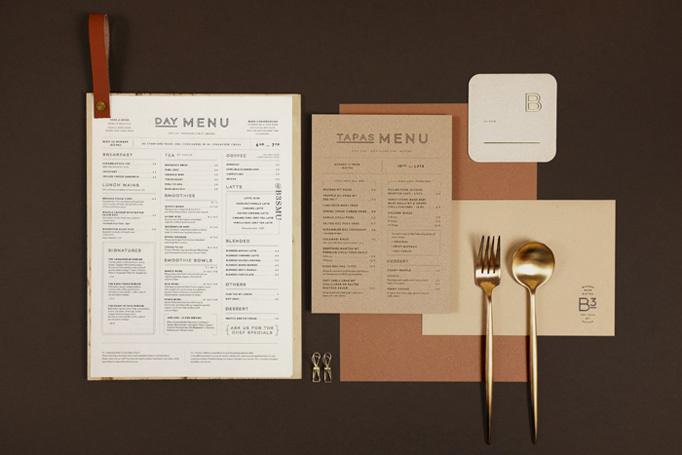 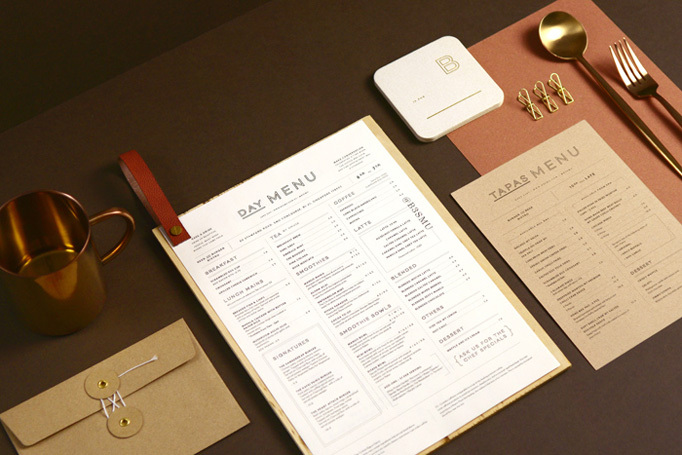 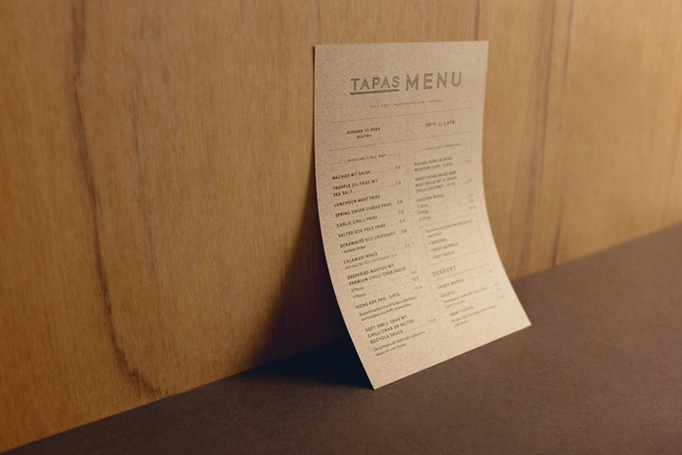 The smaller, kraft paper tapas menu is a cool and earthy companion. 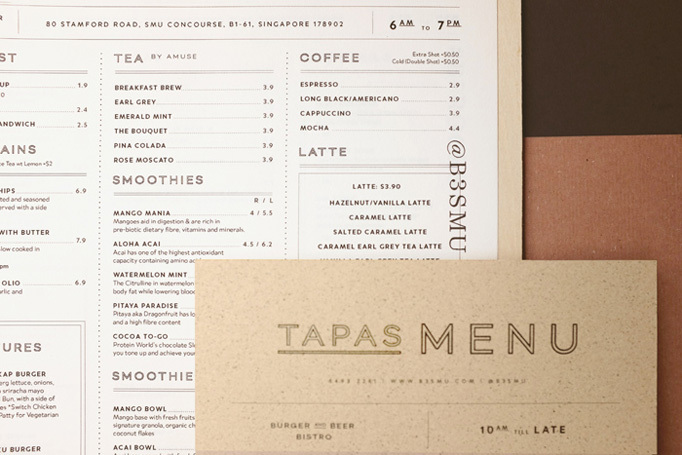 Visit B3 - Burger Beer Bistro Menu.